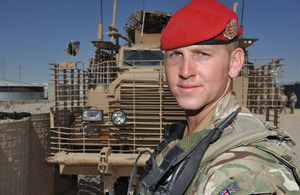 Territorial Army soldier Lance Corporal Aiden Cooper is currently working with the Afghan Uniform Police to help nurture an efficient police force who can maintain the security of the country themselves. We operate in Lashkar Gah and get out to checkpoints, advising on police matters as well as lifesaving skills they use out on the ground. All the policemen have different abilities and skills, so we need to establish what level they’re at before we can conduct training with them. We also watch the progress that is being made in their skills as well. We conducted a vehicle checkpoint with the police, and they worked well there, showing good skills and very well constructed checkpoint. 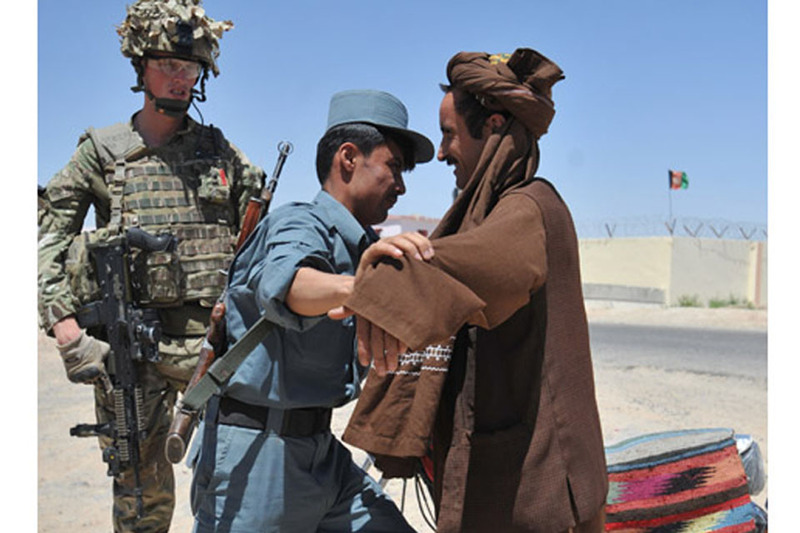 The training that the Afghan police go through with the advisory team is the same across Helmand, and across Afghanistan, looking to nurture an independent and efficient police force who can maintain the security of the country. I don’t think you’d be deployed out on the ground if you weren’t up to the standard of a regular soldier. We’re all out here to do the same job; being TA doesn’t put you in any less danger than any other soldier out on the ground. When you can’t get in touch with home that can be a problem, but the early starts and the heat are something that you get used to. When you’re out for a few days, you’re tired and carrying a lot of kit, that’s your job and that’s what you sign up to do. I miss Lauren loads, but leave is coming up soon and then I’ll be back with them.